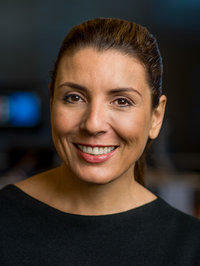 Lulu Garcia-Navarro is the new host of NPR’s Weekend Edition Sunday. She talks with Lori Walsh about taking the helm of a legacy program on NPR, how an intimate conversation creates a driveway moment, and how the role of American journalists hasn’t changed as much as some people think. This segment starts at the beginning. People supporting and against a resolution encouraging law enforcement not to work with an Islamic group are taking the measure personally. A Senate committee yesterday considered a resolution that encourages government and law enforcement to avoid contact and outreach with the Council on American Islamic Relations. SDPB's Kealey Bultena joins the show to discuss Senate Concurrent Resolution 7. This segment starts at 12:34. Californian filmmaker Morissa Maltz came to Standing Rock to talk to Dakota Access Pipeline protestors and ended up making a friend. Chris Laughery has the conversation. This segment starts at 20:54. SDPB’s Nate Wek joins us with notes from the wrestling program in Sturgis. This segment starts at 29:51. Kevin Woster offers thoughts from his On the Other Hand blog. This week he digs in to the legacy of EB-5 in the state, including legislation supported by SD Attorney General Marty Jackley. This segment starts at 37:48.